Many Columbus, Ohio home buyers are choosing to purchase a newly built home. There are many reasons to buy new or build. You can get the floor plan, features, and finishes you want. Newly built homes tend to be more energy efficient, saving energy costs long term. Additionally, many home buyers are struggling to find and buy existing homes due to years of low housing inventory. Whatever your reason for wanting a brand new home, it’s important to know that buying a new construction home is different from buying resale. Home buyers in Columbus need to be aware of the differences before signing on the dotted line. Then, you can be an educated new home buyer and hopefully have a positive experience and a new home you will love for years to come. Here are the main differences in the contract when buying new construction. Earnest money is the money you will have to pay to secure the contract. When buying a new home in Columbus, the earnest money may be more than the typical resale deal. Think about it, a home builder is building a home for you and allowing you to pick finishes and upgrades. This is great for you, but it is risky for the builder. If you fall through as a buyer, the builder could be stuck with a home that may not appeal to other buyers. 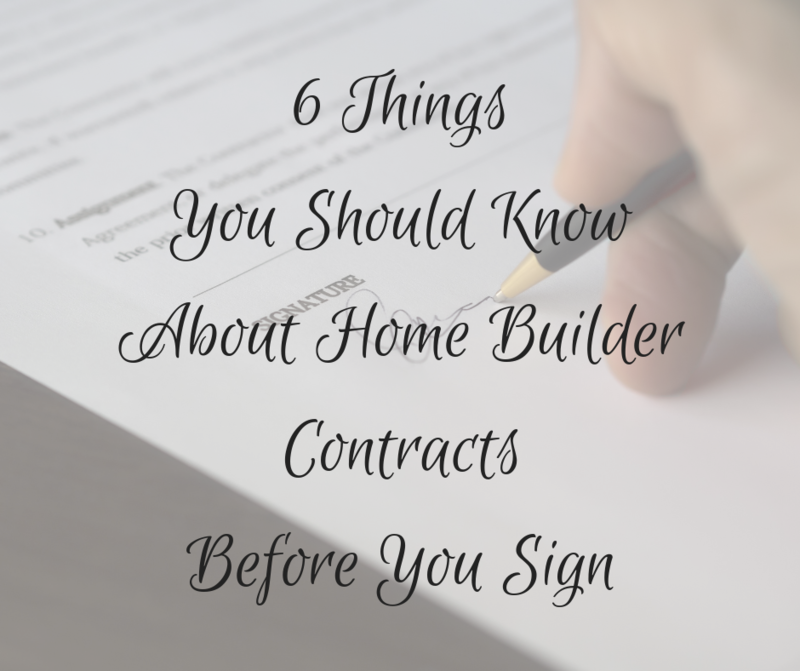 The builder may require earnest money when you sign the contract as well as additional earnest money as a percentage of the finishes you choose during the building process. This means that if the home appraises low once it is built, the builder does not have to drop the price. To keep the lender happy, the buyer will have to make up the difference. The buyer cannot back out of the deal if the appraisal is low without losing their earnest money. The builder contract may give them 1-2 years to build the home. This always makes new home buyers nervous. From talking with the sales staff, buyers often have an expectation that it will take about 8 months to build their home. The contract, however, can give the builder a lot more time. That said, the chances of a new home build actually taking 2 years are small. When you buy a resale home, you can back out of the deal if you find serious issues. If you find issues in a newly built home, the builder should fix them for you if the home is still being built or if it is under warranty after closing. Often home buyers want to buy a new home so they can customize it to their tastes. How much a buyer can customize a home depends on the builder. Most builders are “production builders” which means they have preset plans they are offering. You may be able to upgrade a few finishes or choose colors, but you’re not going to be able to make big changes to the floor plan, for instance. To really be able to customize a home, choose a custom home builder. With new homes, the time frames are much longer than with resale homes. This means buyers can’t lock in a rate right away. They have to wait until later in the building process. That can work in the buyers favor if rates are going down. When rates are increasing, though, this can be nerve wracking. The most important thing for new home buyers in Columbus is that they have a Buyer’s Agent who does not represent the builder. Having a Buyer’s Agent in your corner ensures that you have a guide and an advocate working on your behalf throughout the process. You may be able to negotiate a more favorable contract with a builder, but you will need a negotiation expert who is familiar with the process of buying new construction. Keep in mind though, that your leverage as a buyer depends on market conditions. In a seller’s market, builders may not be as open to negotiation, because they don’t have to be. In a buyer’s market, though, they will be more flexible in order to sell homes. If you have more questions about the differences between buying new construction verses buying resale, contact Columbus OH real estate agent Rita Boswell at 614-547-3229.